During on of our Norwegian road trips we had originally planned to do the Over Risberget hike in Dovrefjell, to truly experience the high mountain terrain. Nature however, had other plans and with fog and the rain pouring down we were not overly excited to hike for the entire day. With a quick session on google from our cottage (in Norwegian always referred to as a “hytte”) we found there was a short “hike” to a viewpoint to look at Snøhetta, the highest mountain in Norway outside Jotunheimen. This was only a short drive from our hytte so we decided to check it out. There is a large parking area, surrounded by a pole fence, inspired by the old wooden fences that were used to catch reindeer in the mountains more than 800 years ago. The hike, or walk really, is only 1,5 km if you take the direct route, and it is accessible for disabled as well. If the weather is cooperating you can also choose to go around Geitberget (“the Goat Mountain”) and squeeze in a 7 km hike along some natural trails. When walking the short route you will be able to follow Dovrefjell’s 10,000 year history inscribed in stone slabs on the broad, packed gravel path. We walked this path with the rain pouring down and little did we know what awaited. 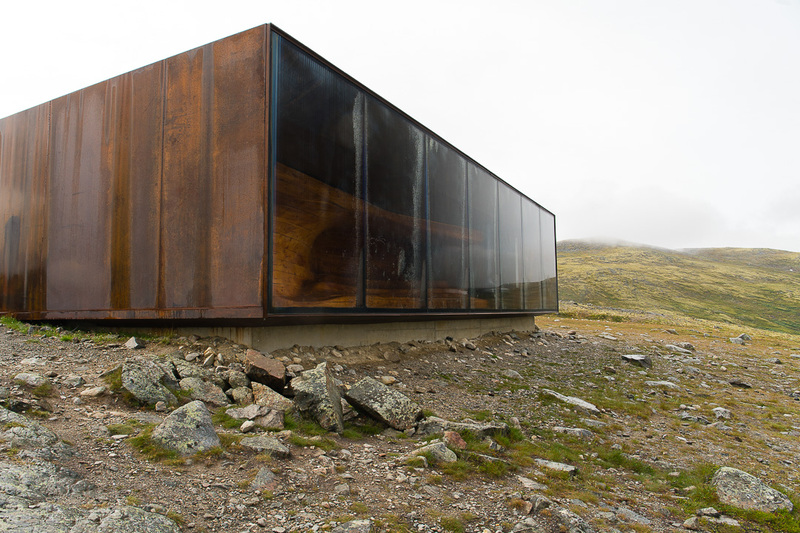 Not only is the mountain landscape opening up like the ocean by a beach overlooking the Snøhetta peak, but we were also met by one of the most exciting surprises of the year. 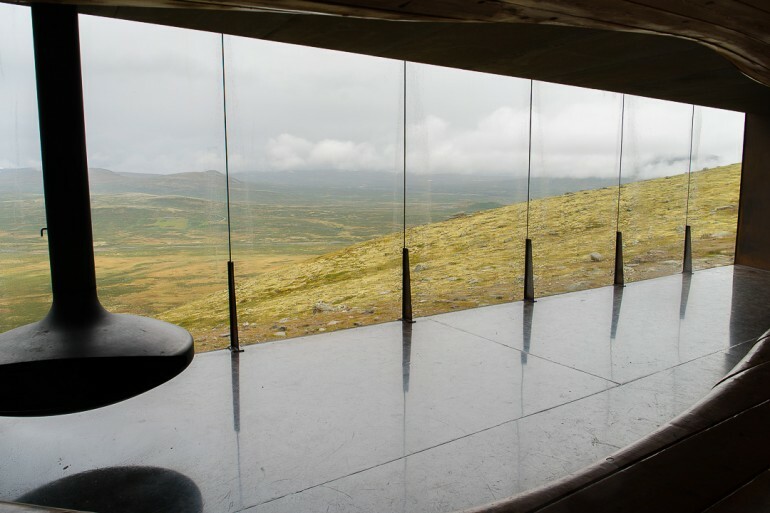 Built for the viewpoint is a truly spectacular building where you can rest and enjoy the views, shielded from the elements. We’d seen this building flash by on instagram without registering exactly where it was, but realizing that it actually stood in front of us blew our minds. Built in 2011, the same year it received several international architectural awards, it simply consists of a Cortan steel box with windows. For someone who appreciates straight lines, minimalism and an appropriate amount of tension with its surroundings this could be satisfying on its own, but what makes this building so much more is the woodwork. 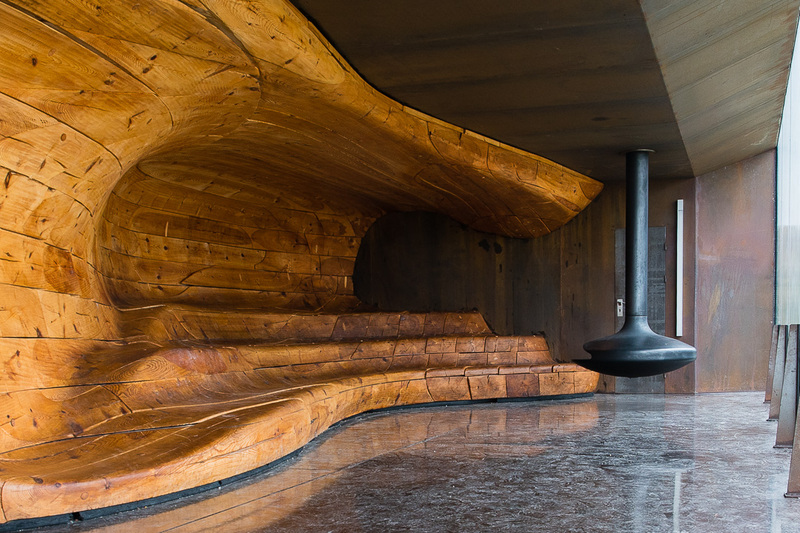 Both the outside and inside of the back wall are made out of carved wooden logs and formed to provide the most inviting areas to hang out in imaginable. There’s also a fireplace inside hanging down from the roof which makes the interior look like a Bond villains cabin with polished concrete floor, rusted steel walls and the seamless glass wall opening up over raw nature. The hike itself is perhaps not iconic in the sense we usually mean since it doesn’t contain the element of achievement from completing something like Angel’s Landing or Besseggen. But in order to get to the viewpoint you have to take a small hike, and this short walk is extremely beautiful in its own. 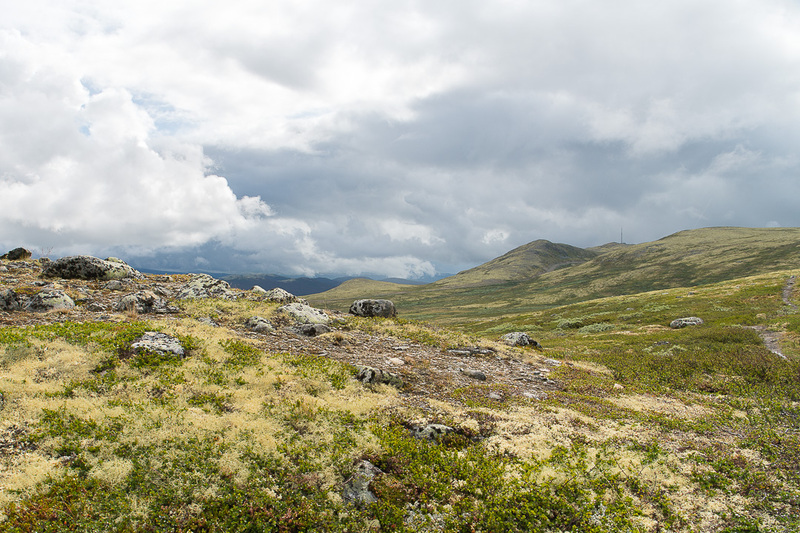 The landscape in Dovrefjell is harsh and barren, but yet so dynamic and full of life. You feel close to the nature and part of the vast expanses. This place has, since 2011, had more than 30,000 visitors so a tip is to show up early if you want to experience this peaceful tranquility on your own. Or make sure the rain is pouring down. Dovrefjell is situated along the E6 between Oslo and Trondheim and it is recommended to arrive by your own car, that way you can also drive around the area on your own before/after and perhaps go on more hikes if the weather allows. 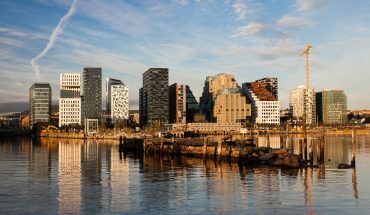 From E6, turn off by the “Hjerkinn stasjon” sign and then follows the signs towards “Snøhetta viewpoint”, this will lead you directly to the parking lot. Norsk Villereinsenter is the organization responsible for the viewpoint. The hike is very well marked with no special equipment needed, but a good camera is recommended! For a slightly more challenging hike in the area Over Risberget can be recommended (12.5 km, 680 m ascension, about 5 hours). Total Ascension: Minor, only a slight ascension to get to the viewpoint. Roundtrip: No, you go back the same way. Start: Parking area close to Hjerkinn stasjon, follow the signs towards “Snøhetta utkikkpsunkt” (GPS: 62.224382, 9.506293). Parking: A large parking area with public restrooms is available at the start of the hike. 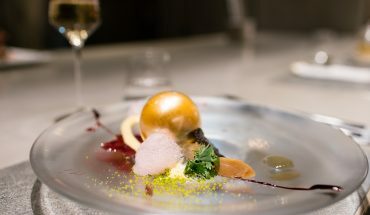 Season: The building is open from June to October.